During his earthly ministry, Jesus performed many miracles, including healing numerous diseased and disabled bodies. But perhaps his greatest miracle was the healing of people's souls — the forgiveness of sin. Jesus offers us that same miracle on the same terms — sincere repentance. In The Miracle of Forgiveness, President Spencer W. Kimball gives a penetrating explanation of repentance and forgiveness and clarifies their implications for Church members. His in-depth approach shows that the need for forgiveness is universal; portrays the various facets of repentance; and emphasizes some of the more serous errors, particularly sexual ones, which afflict both modern society and Church members. Most important, he illuminates his message with the brightness of hope that even those who have gone grievously astray may find the way back to peace and security. Please put this on audio book! The Miracle of Forgiveness needs to be available as we drive, jog, exercise, shop, etc. It's basic, it's essential. If only the whole world could read this through once. This landmark book should be even more talked about. Repentance is such a key to life and of hope for living with God. President Kimball wrote a mainstay masterpiece! There is one caution to keep in mind: this marvelous book is very straightforward. It is especially for those who have gone into serious transgression, and thus need strong soap. It is for those who desperately want to save their own lives. But it is priceless for that. In the current age of effusive media, there is an ominous wave of fad, false philosophies, including from some who call themselves Mormons—some of whom have celebrity status. This book is antidote to all of that; the prophet sets the record straight with his timeless, crucial counsel. Waiting for a much-deserved commemorative edition. The Miracle of Forgiveness is a very inspiring book that warns of the consequences of sin, informs the reader of how to improve their life, and explains how to take full advantage of the Atonement. The Lord's standards are clearly defined within this book so that there can be no misunderstanding. The reader is also educated on how to chart a safe path and find peace and happiness in this life. For those of us trapped in sin, which is all of us to some degree, President Kimball explains the seriousness of sin but also explains the way out for those that feel trapped. I think this is such a great book because it applies so much to every person that has ever lived upon the earth. I thought that the examples and stories that President Kimball used were spot on. They show real life application of the principles that he is teaching and they really get the point across. Despite the straightforward and frank approach of the book, which could seem extreme and shocking to some readers, if you read with an open mind and willing heart it can be a life changing book. 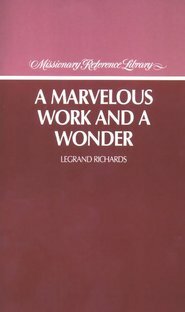 For anyone who wants to draw closer to the Savior and appreciate what he has done and made available to us, I would strongly recommend reading this book. 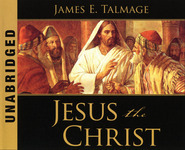 Every member should be required to read this book, it would solve many issues I have seen in the church everywhere. Read it! This is totally worth 5 stars and I love this book along with so many others from the prophets. I wrote one star to get people's attention. This book comes free when you get the app for the iPad and iPhone. I made the mistake of purchasing it first. Save $10 and just get the app for free. I don't need to write a review of this because there are already many 5 star reviews like mine but I have to say that this book sets a person strait with no apologies and that is how it should be. When I first read it, I was in the process of converting and it was hard for me to read because I was not up to the gospel standard. Everyone should have this book. 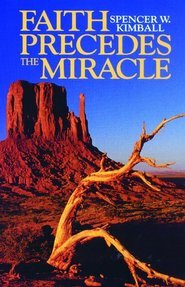 I have lost my copy of this wonderful book and I know that forgivness is truly a miracle. Pres. Kimball so well that every home should have a copy of it. President Kimball is/was amazing-he is an example of exact obedience. I have this on CD and listen to it often. My husband is currently reading this book and says it's been a life-changing experiance. Can't wait to read it myself! I recently read this book and highly recommend it. It has helped me gain a better understanding of forgiveness. It has greatly strengthened my testimony. Everyone should read this book! Especially those who want a better understanding of the miracle of forgiveness. It will definitely turn your life around. When I started reading this, I was just interested in what was said. I continued because I found out there was so much I didn't know. I became depressed, the amount of sin was staggering and I thought was going to sink into a bottomless pit. Then I reached the end! the last three chapters were the most wonderful and glorious things I had read in my life. I learned just what the atonement means, and it has caused my faith to grow beyond measure. This book is great for understanding sin and the atonement. Thank you so much for these encoraging words. President Kimball explains the whole process, from beginning to end,of how to forgive others, as well as yourself. 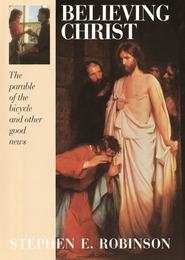 This amazing, yet humbling, book should be read by all at least once a year. There's no better way to get a life check than through this book. The teachings are piercing and memorable. It's one of the most amazing books ever printed. Best Book out there on the subject of Repentance/Forgiveness. I have read many books on repentance and forgiveness, and this is the BEST! It is easy to read, direct, true, and inspired. Other books on the subject are very good, but this one, in my opinion, beats them all. And it was written by Spencer W. Kimball - what more could we ask? I love the plain and simple truths contained in this book as President Kimball puts the power of repentance into perspective.